Practice News - New Certification - IASTM - Dr. Feeney is now certified in IASTM, also commonly known as rock blading. IASTM stands for Instrument-Assisted Soft Tissue Mobilization and can help treat many conditions and sports injuries. IASTM is a technique that utilizes handheld tools to break down adhesions and restrictions that are too deep in the soft tissue for the clinician to effectively treat by hand alone. This improves blood flow to the affected area which can promote healing, mobility, and flexibility. It can also reduce pain and inflammation. Instrument-assisted manipulation is also particularly effective in dealing with scarring because it is able to break down scarred tissue at the cellular level to normalize the mobility and structure of the tissue matrix. Jamison Chiropractic has chosen RockBlades from RockTape brand. These tools are specifically engineered for myofascial work and are contoured, weighted surgical steel. IASTM can benefit many conditions and sports injuries including: plantar fascitis, sciatica, knee sprain/strain, rotator cuff injuries and shoulder capsule dysfunction. Schedule an appointment today to see how RockBlades can help you relieve pain and reduce inflammation. 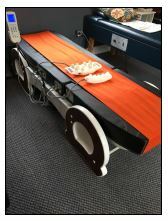 Infrared Jade Traction Unit - New state of the art table features heated jade stone rollers and advanced traction design to maximize therapeutic benefit. Experience the latest addition to our therapy equipment at your next appointment. Credit Cards - New for 2018: An easier way to pay - now accepting credits cards. See the front desk. Summer hours begin 5/31. We will be opening early at 8am on Mondays and Thursdays. We will continue to offer early 7am appointments on Tuesdays AND Fridays. As always, please call ahead to confirm doctor availability for a given date or to schedule your appointment. We are excited to announce our NEW location! We have officially MOVED to our NEW location at 1703 Almshouse Road (directly across the street). Please check back soon for pictures of our new "home".  The doctors here at Jamison Chiropractic are actively devoted to our patients and are constantly seeking continuing education to learn exciting new healthcare techniques to better serve you. Dr. Mark Feeney and Dr. Kristen Doyle recently completed rigorous coursework focusing on the proper diagnosis and treatment of concussions. Early concussion diagnosis is critical. Concussion symptoms may appear mild but this injury can lead to significant, life-long impairment affecting an individual’s ability to function physically, cognitively and psychologically. Our doctors have extensive training in the recognition of concussions and the neck injuries that frequently accompany concussions. Neck injury symptoms can often be very similar to concussion symptoms and impossible to differentiate without medical expertise. Dr. Mark Feeney obtains his Certificate of Course Completion from Kinesio Taping International. Dr. Mark Feeney - SCORES BIG FOR HIS PATIENTS! We are pleased to announce that Dr. Mark Feeney has been actively pursuing his postgraduate studies and has recently completed an extensive sports medicine certification program. Dr. Mark’s continuing education includes comprehensive training in the appropriate diagnosis and treatment of sports related injuries. Dr. Feeney has achieved certification as a Certified Chiropractic Sports Medicine Specialist, Chiropractic Sports Injury Specialist, and an Exercise Strength and Conditioning Specialist. Athletes of all ages are encouraged to seek care with Dr. Mark to accurately determine the root cause and magnitude of their injuries.